After the Storm in my Yard & Head …. 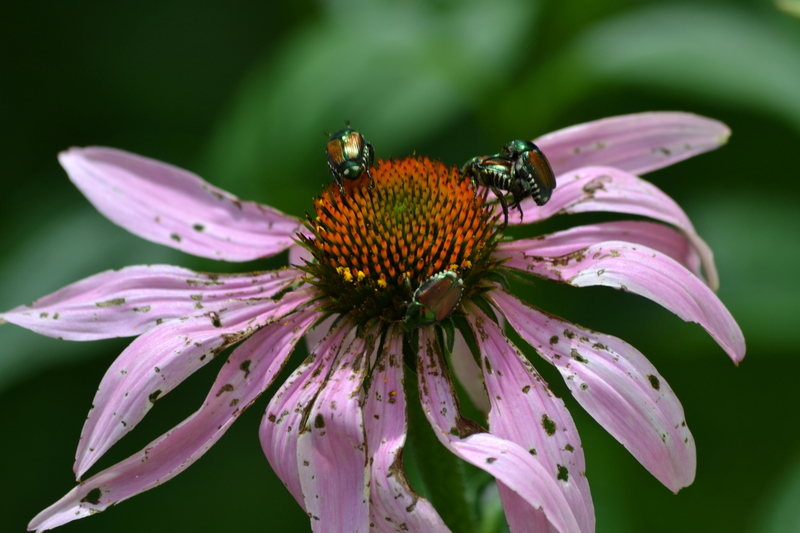 But, sadly, not all beetles give in to the storm--beetles on cone flower nearby. It’s Monday, and, despite being summer, feels like Monday. A big limb lies on my sidewalks and my head feels like it’s wearing a belt too tightly. In recent days, I’ve been feeling increasingly rundown. This comes just as I’m increasing my bike miles to get ready for RAGBRAI, which will be here soon. Not sure if I have a virus or my middle-aged body is under rebellion, but I seem to be developing the Sheller affliction—a vague headache and cold-like symptoms of no known origin—that I usually don’t suffer from. 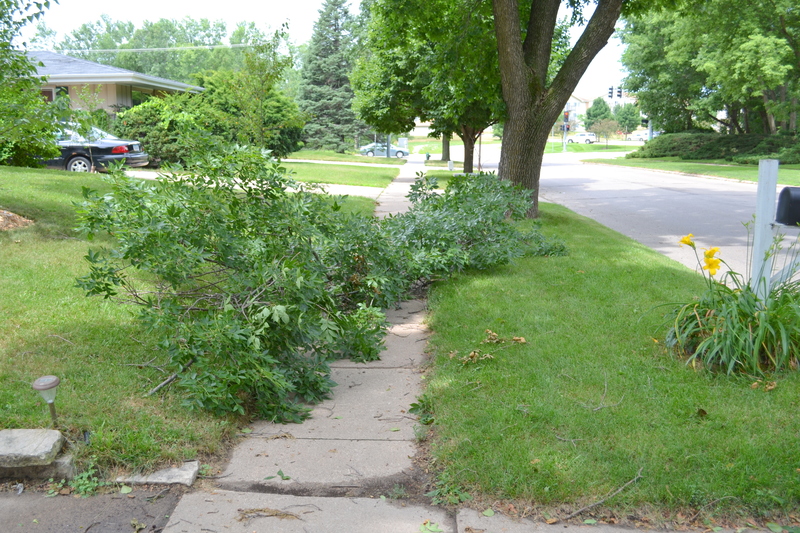 And there’s a big piece of an Ash tree on my sidewalk. 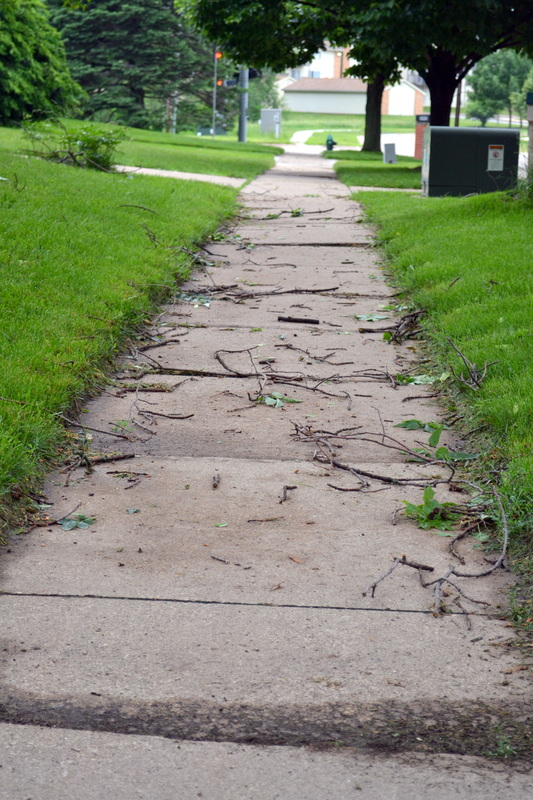 Long, big ash limb lies on my sidewalks, blown off in storm. 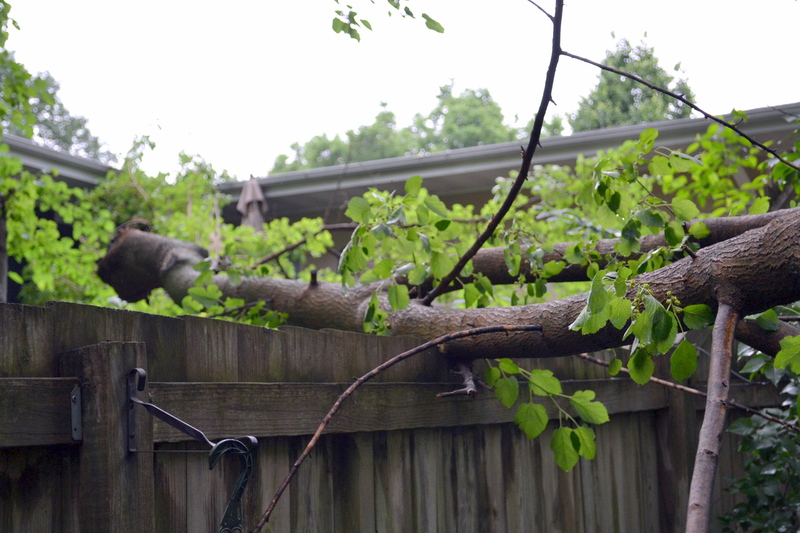 Lots of small limbs in back, too--but no serious tree damage from storm. Audrey woke me up at 5 a.m. to tell me to hightail it to the basement as sirens were blowing. Turns out it was just wind, and she was apologetic, but honestly, would I have let her stay in bed with the storm sirens blaring? No, I would not, so no apology needed. And I’m very lucky, where storm damage goes. Lot of people in the area are dealing with serious damage. My lights flickered a little, I have a few extra sticks to pick up before I mow next time, and one big limb to deal with which hit nothing that it can hurt. Nothing to complain about—see The Gazette. And my funk will pass. After I write this blog post, I’m going to cut up the limb, eat something and then, if I feel up to it, take a short ride just to get some miles in today. Won’t go far—it will be way too hot and humid—but on this “Joe Day” (a day in which I totally ignore my job and enjoy the summer) I want to get a little training in, headache or not. And a nap. For sure a nap. Every Joe Day that features a headache needs a nap! Despite storm, summer moves on. 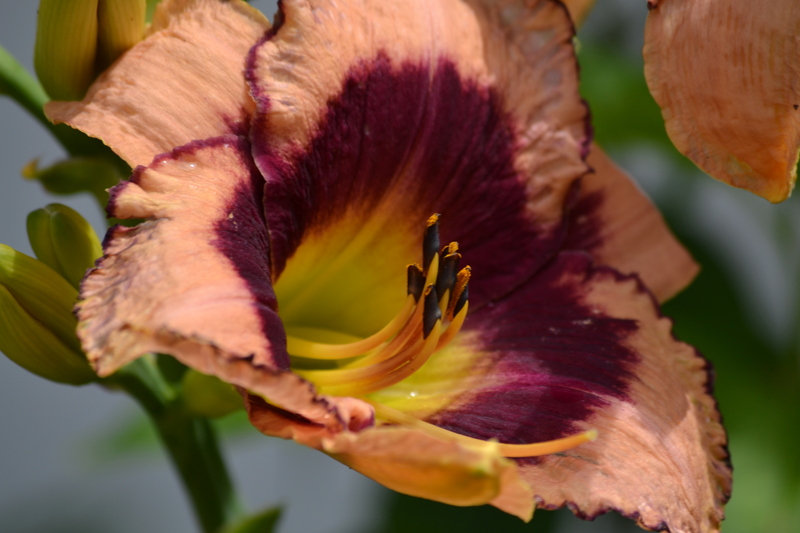 Native day lilies and stella de oro are being followed by more exotic colors as other day lilies begin to bloom. 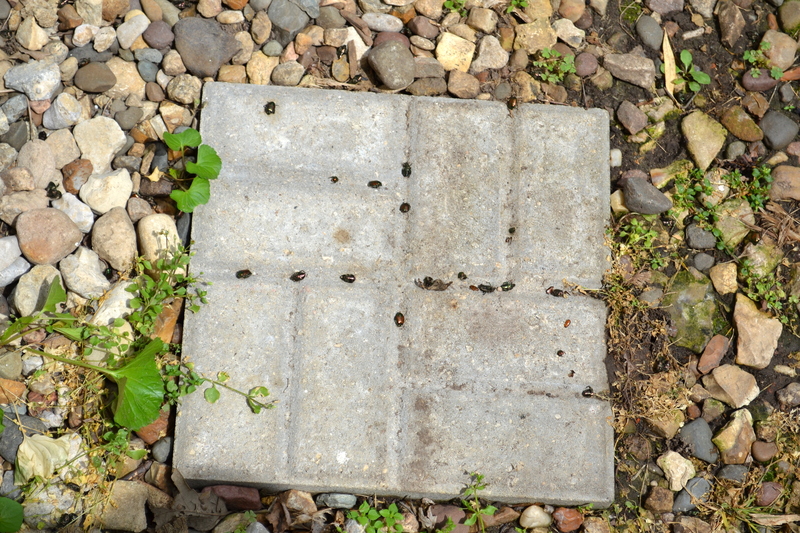 Like this one that's in my front wall garden. 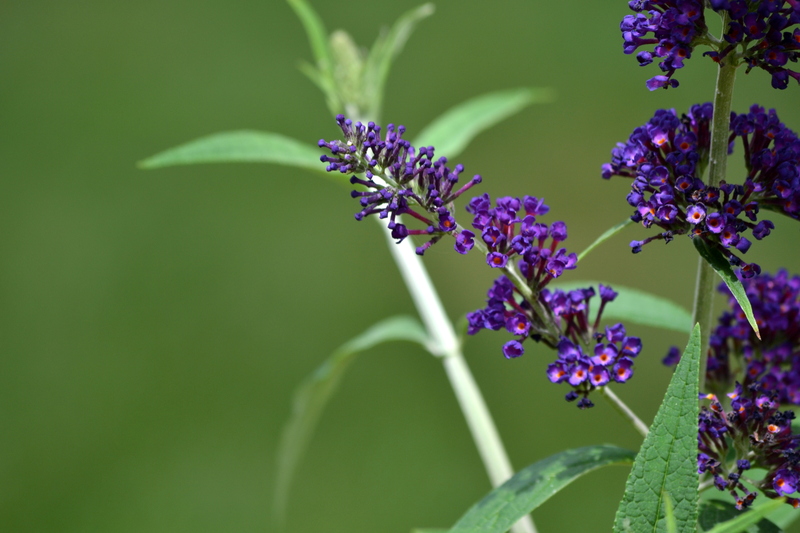 Have not seen many butterflies on it yet, but the butterfly bush is trying. Last year it collected quite a butterfly following, hope that happens again--but it may be that there is just so much in bloom right now the butterflies don't have to look very hard for food. Muberry tree on my fence this morning after Wednesday's storm. I actually have a lot to do in my office, which is being moved this summer—I sense summer 2011 may pass quickly. Today, for example, I was going to finish ad bills for last year for the paper and work on cleaning my office—but Mother Nature had other plans. 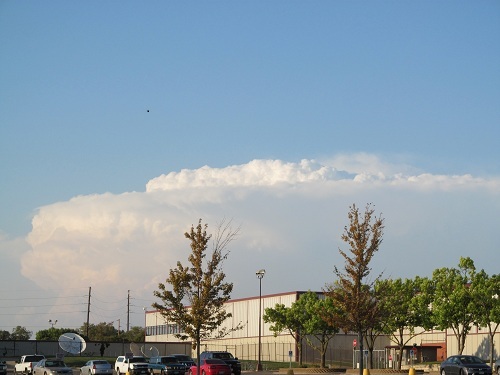 She socked us with a heavy thunderstorm Wednesday night. 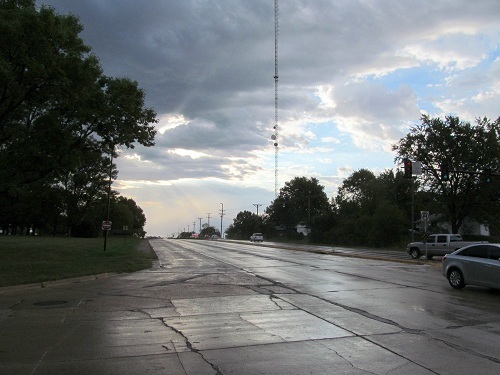 Today, for my first Nikon D3100 gallery, I present storm aftermath photos. Young redbud in front looked like it was kowtowing. I used auto settings, but did tell the camera to quit it when it tried to flash. I wanted natural light. I’ve been impressed with the camera so far, and equally impressed with Mother Nature’s force. 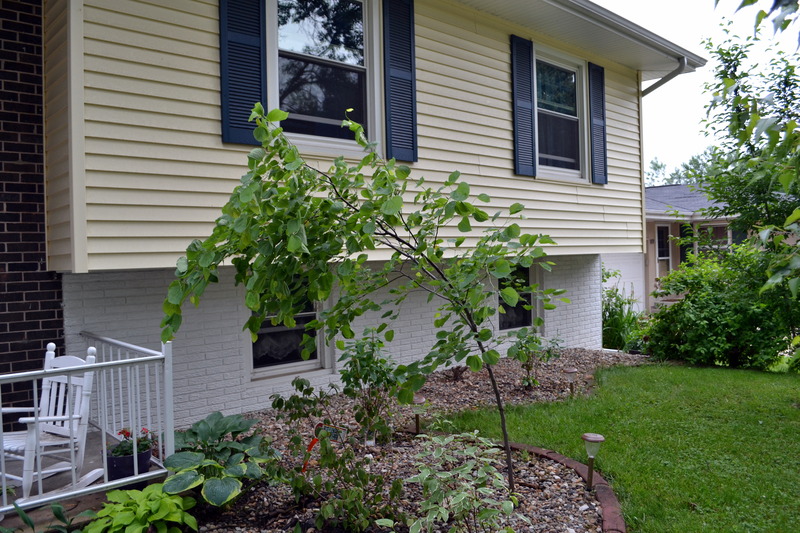 A mulberry tree from a neighbor’s yard was across the fence this morning, on top of our young maple and a redbud tree. 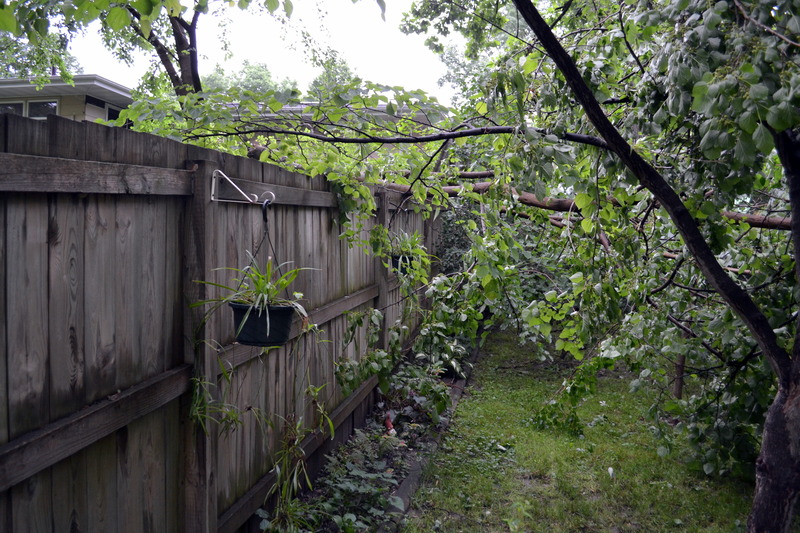 Well, my fence had no trouble bearing the weight of the mulberry, so my trees were just very bent, not broken. May need some resulting pruning of some branches later, but we’ll see. So today turned into cutting a up a tree, which is still in pieces in my backyard. Office work tomorrow! Another view of encroaching Mulberry. Front walk still looks like this--I spent day cutting up Mulberry. 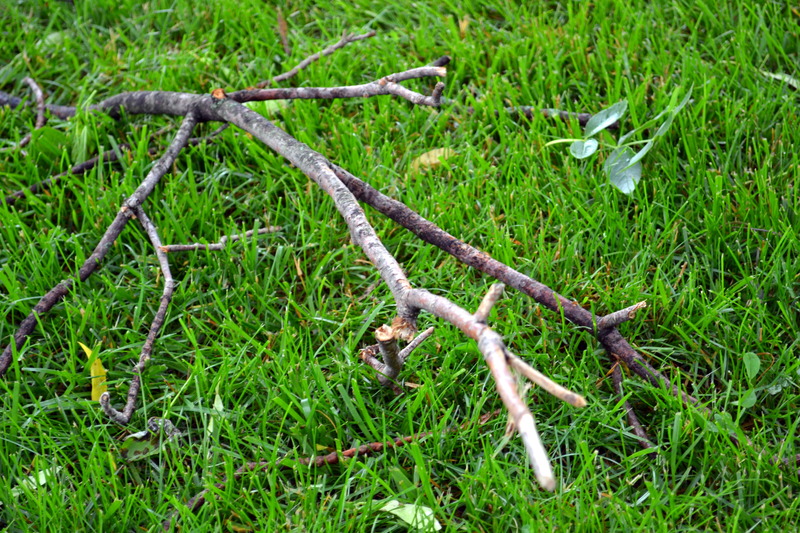 Fallen stick on wet grass. Playing with 18-55 lens today. 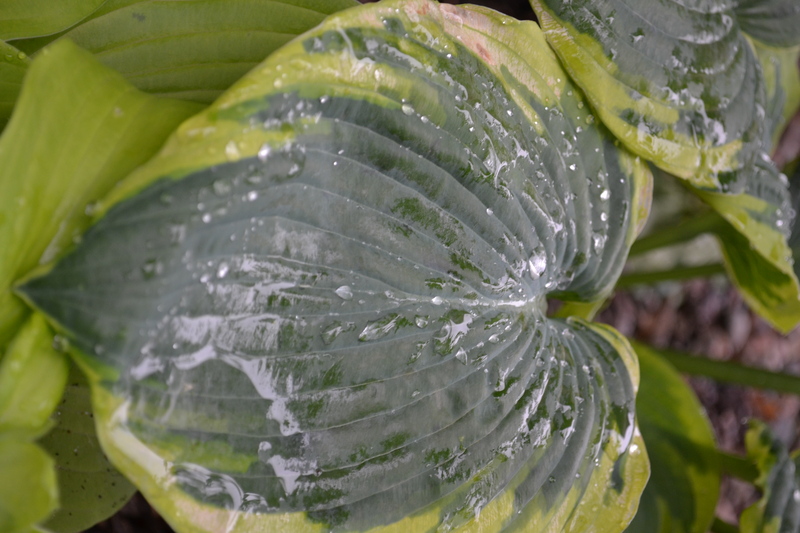 Hosta in front garden shows day-after wetness (and how close 18-55 lens gets, have not even used 55-200 lens yet).